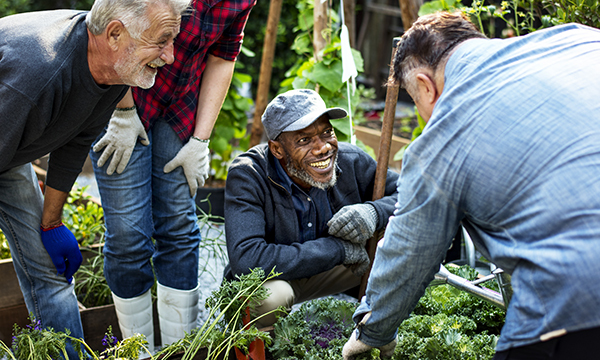 Social prescribing – the idea that medicine alone is not always a solution and that it can help to signpost patients to advice or social activities – aims to promote partnership working between the health and social sectors to address the wider determinants of health. Patients with non-clinical needs can be referred to community activities to improve their health and well-being. Staff engagement and good-quality activities are crucial to a successful social prescribing service, this systematic review on implementing and delivering it in primary care in the UK found. Eleven databases, grey literature and reference lists were searched to identify studies that were general practice-based and involved a navigator. Eight papers met the inclusion criteria. Facilitators and barriers included method of implementation and the need for a shared understanding of the service. Pre-launch events and establishing ‘navigator ready’ practices – with someone to facilitate the patient’s journey – were reported to have a positive effect on the service. General practice staff engagement and strategies to maintain it were crucial, as was the availability of a wide range of good-quality services and activities for service users. Staff mobility and potential cuts in services and activities could hinder the delivery of social prescribing services. The review highlights the lack of published research in this area and the need for more high-quality studies. Austerity measures are a threat to social prescribing services, according to this qualitative study on introducing social prescribing to address public health goals and improve multisector working. Semi-structured interviews with six community links practitioners from the links worker programme in Glasgow informed subsequent interviews with 30 representatives from community organisations. Interviews focused on what the programme could achieve, sustainability, relationships, referral processes and organisational capacity. Collaborative working promoted more effective case management. Community links practitioners engaged patients with community resources, provided continuous support and facilitated links between primary care and community organisations. Social prescribing was challenged by austerity measures, and cuts to the welfare system increased demand for services. Limited organisational capacity resulted in crisis case management rather than long-term support. Community links practitioners’ capacity was challenged where patients were in crisis with complex situations. The links worker programme facilitated working between primary care and community organisations, but austerity measures threatened service provision. An exploration of the views and experiences of people with long-term conditions on a social prescribing service found those with complex needs require longer-term support. Semi-structured interviews with 24 participants from a link worker service in north east England were carried out up to two years after their initial inclusion. Topics included significant life events, current involvement, views on the service, behaviour change and role of the link worker. Participants were aged 40-74, with 23 having multiple long-term conditions and 16 reporting social isolation and mental health issues. Reduced social isolation, improved management of long-term conditions and changes in health behaviours were reported. Longer-term support was often required for complex health and socio-economic circumstances. Robust relationships with accessible link workers were key to service users’ experience of social prescribing and ongoing behaviour change. Individualised support, accessible activities and a focus on gradual behaviour change were important features of the service. Barriers to social prescribing engagement included cost and time to travel to venues, and unsuitable schedules and locations. The study highlighted that participants with complex needs may require more than two years of support with social prescribing.